This very stylish silver bracelet is by the Mexican atelier Los Ballesteros. 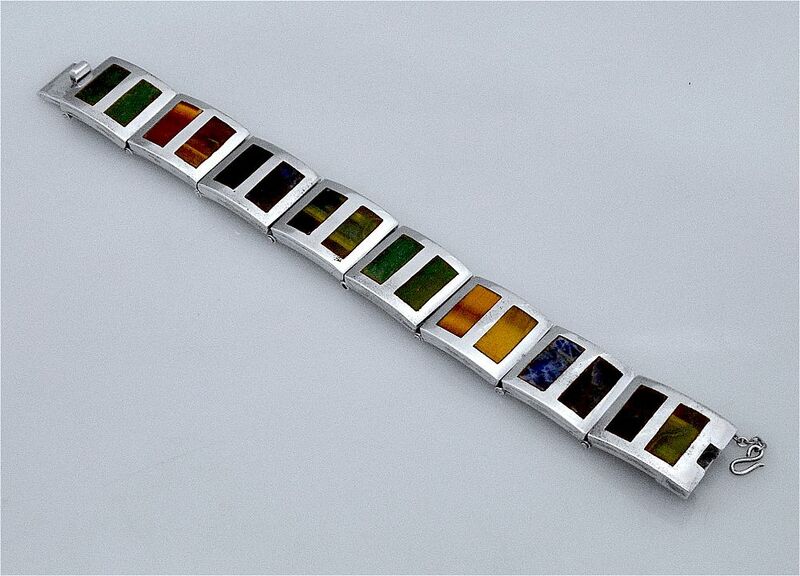 It consists of 8 rectangular hinged silver sections, each inset with 2 rectangles of semi-precious stones being, brown tiger's eye, blue tiger's eye, sodalite and green hardstone. The reverse is signed.